The Yankees finalized one of the most significant transactions in their 116-year history fifteen years ago today when they sent Alfonso Soriano and Joaquin Arias (originally a PTBNL) to the Texas Rangers. The Yankees, of course, received Alex Rodriguez and $67 million in return; this would be the best trade in the history of almost every other franchise in the league, but the Yankees once traded $100,000 for Babe Ruth. It is worth reflecting on the circumstances that led to the league-altering trade, for Alex Rodriguez is the embodiment of baseball’s contemporary labor unrest and his story imparts many important lessons. We must begin with then-Rangers owner Tom Hicks’ decision to extend A-Rod a 10-year, $252 million offer following the 2000 season. Rodriguez, a shortstop about to enter his age-25 season, owned a .309/.374/.561 (138 OPS+) line with 189 home runs in 3,515 career plate appearances and had already been worth 38 wins in his career. He was undeniably one of the most impressive players in the sport’s history, but the deal still sent shockwaves through baseball. It’s easy to see why: it dwarfed the next closest in baseball (Mike Hampton’s 8-year, $121 million deal), doubled the value of the next closest deal in professional sports (Kevin Garnett’s 6-year, $126 million deal) and worth more even than Hicks paid for the team. It was a watershed moment for player salaries, and Rodriguez became the first ballplayer to earn more than $20 million annually. The reaction among the league was swift and fierce: The Chicago Tribune noted that “baseball executives were shaking their heads over how Boras got [him] $25.2 million per year.” Then-Angels GM Bill Stoneman remarked that “the health of the game is changing, and not in a positive direction” as a result of the deal. Even the Rangers themselves couldn’t be too sure, with Hicks suggesting that he “maybe” overpaid Rodriguez. The reaction of league executives, as it so often is, was echoed by many fans—even those of the Rangers. A truly stunning 54 percent of polled Rangers fans after the deal believed that the team should have pursued pitching instead of Rodriguez. Bill Simmons’ Page 2 column on ESPN, and its submissions from fans, rated A-Rod the most overpaid player in baseball. I bring this up only to underscore the crucial point that since 2000, there has been no severing the link between Alex Rodriguez and money. He became a billboard for opulence and reckless spending then, not after he landed his second megadeal in 2007. That he was overpaid stuck in people’s minds, and his salary fueled a decade’s worth of hot takes and controversy. Lost in the noise was Rodriguez’s actual performance. In his first three years with Texas, Rodriguez was a three-time All-Star, winning with three Gold Gloves, three Silver Sluggers and an MVP award (he finished 2nd, once too). He amassed 25.5 bWAR (8.5 a year) and far outpaced any $/WAR evaluative metric, hitting .305/.395/.615 (155 OPS+) with 156 home runs. The Rangers had paid him $66 million already, but Rodriguez was worth $72.3 million on the field: he was a bargain. But it ultimately was not good enough. Rodriguez’s contract meant that he became a boogeyman on a cellar-dwelling Rangers team despite his remarkable achievements, and Hicks decided he had to go. Money, again, would be at the center of the negotiations to acquire Rodriguez. Boston originally reached an agreement with Texas to acquire the superstar for disgruntled Manny Ramirez, but even though the Red Sox had been stunned in the ALCS weeks before, they refused to pay A-Rod’s entire deal. Rodriguez agreed to restructure his contract, losing money; worried about league-wide implications, the Player’s Union stepped in and correctly killed the deal. But it is worth remembering that Rodriguez was only 28, outperforming his salary and seemed a lock to be the all-time home run king—and teams still balked at his contract. Enter the Yankees, winners of 6 of the last 8 pennants (and four World Series) and a towering payroll. Sensing an opening, the Yanks swooped in after third-baseman Aaron Boone injured his knee playing pick-up basketball in January. The Rangers agreed to send Rodriguez to New York for Alfonso Soriano and a PTBNL (that could have been Robinson Cano, but instead the Rangers chose Arias). But the Rangers were so desperate to shed Rodriguez that they offered the Yankees $67 million to take him. The league’s most valuable man was a pariah. Even in New York, Rodriguez was unable to escape the shadow of his deal, even as he capitulated to the demands of Derek Jeter and moved positions to third base despite being a far better shortstop in every way. The Yanks payroll neared $200 million, and the league was unhappy. Then-Arizona GM Jerry Colangelo argued that “the disparity is not healthy for the sport” and spurned Red Sox president Larry Lucchino said that “the Yankees resources gave them the capability to do what no one else could do.” It didn’t matter whether any of this was actually true. What was important was to say it. The Yankees were clear winners of the deal in baseball terms: Rodriguez would hit .303/.403/.573 (153 OPS+) with 173 home runs, two MVPs and four All-Star selections in the four years before he exercised his opt-out. He was worth 31 bWAR over that stretch, again laying bare the fact that consternation over his contract terms was misguided. He was paid $102 million from 2004-7 and produced $107 million on the field, but the terms of the trade meant that the Yankees only paid him $64 million—meaning Rodriguez provided $43.9 million in surplus value for New York. Again, the idea that he was overpaid is a myth: the data make clear that he was underpaid in both Texas and New York. A-Rod’s opt-out after 2007 ended his 10-year deal three years early. 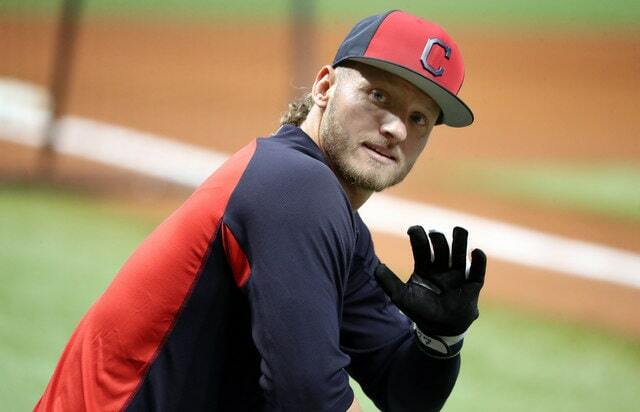 Over the terms of the deal, he slugged .304/.400/.591 (154 OPS+) with 329 home runs, 3 MVPs, 7 ASGs and produced 56.4 bWAR. The conception, held widely at the time and persisting to this day, that Rodriguez was overpaid was flatly false. The terms of his first deal were a bargain: he was paid $168 million and produced $180 million. But that barely mattered, in the end. 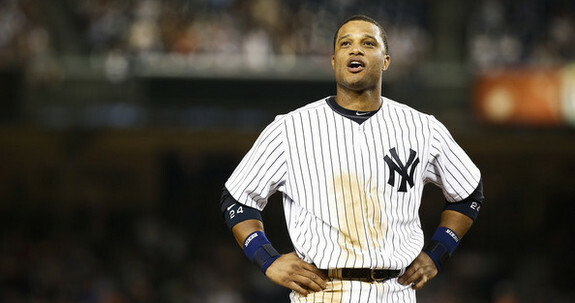 A-Rod gained a reputation for being dead weight, a financial albatross that showed both the dangers of big spending and long-term commitments in spite of all observable reality. His contract, offered 19 years ago, is still the 3rd-largest in MLB history (exceeded only by himself and Giancarlo Stanton) and only a few players have even come close. 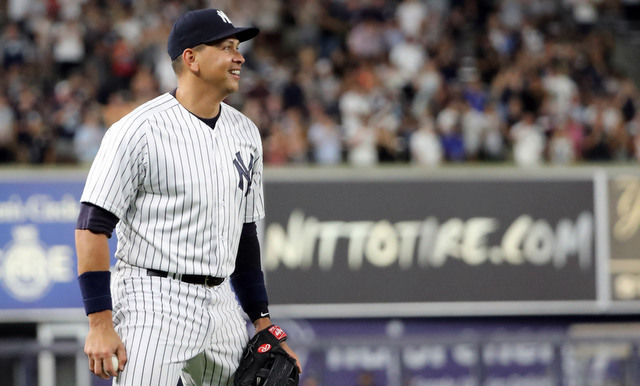 As the league’s top free agents in Bryce Harper and Manny Machado (to say nothing of the 2nd best reliever in MLB history, Craig Kimbrel) struggle to find work, it is hard not to think back about Alex Rodriguez. He was fortunate enough to get a contract pretty close to his actual value, but the raw numbers ($252 million, much like $300 million now, just sounds like an overpay) drove him out of Texas despite his otherworldly production—all in the name of “financial flexibility.” Forget his on-the-field production. His contract was perceived to be so large that the Yankees essentially got him for free—again, think about how lopsided this deal truly was on the field—and got Texas to cover a significant portion of the contract. He was paid to go away, and all the while he was as productive and dominant as any player in league history. What A-Rod’s story tells us is that it’s not really about the production on the field after all. If it was, the Rangers would never have traded him, the league wouldn’t have reacted harshly to his signing and the Yankees would never have been able to acquire him. Actually spending money is far worse than having “flexibility” to do so at some undisclosed point in the future, even when a player is clearly worth the money. The league’s frantic reaction to Rodriguez’s deal, and the media’s complicity, drove Texas to pay for him to go away, cementing a narrative that the league’s biggest stars can’t possibly be worth their (seemingly) gargantuan contracts. The echos of this are still heard in the current labor market as it relates to top players, and, as it always was in baseball, Rodriguez is at the center. The league will stop at nothing to maximize its own profit and reinvest as little as possible back into its players, and exceptions cause an outcry. The Rangers buckled under the weight of league scrutiny, but the Yankees were happy to be the exception that proved the rule in 2004. It would be nice to see them do so again. The Yankees and Tigers were rained out today, and there’s a pretty good chance they’ll get rained out tomorrow too. The weather forecast in Detroit doesn’t look good at all. Here, to help you pass the time during this sudden Yankees baseball-less day, are some links and notes to check out. 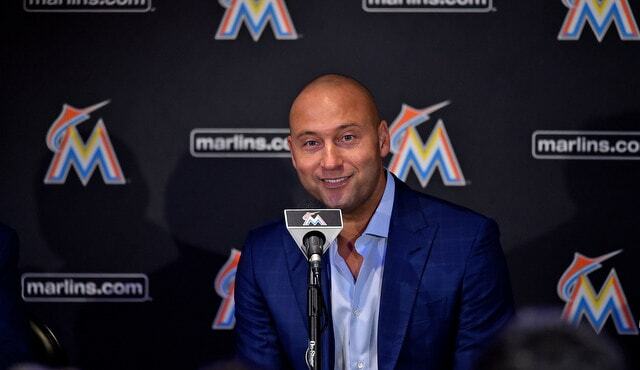 The Yankees will make a two-game trip to Miami later this season, and I imagine Jeter will be in the house for that. I wonder how long it’ll be until it’s not awkward for Jeter to come back to Yankee Stadium? Never is a long time. I’m sure it’ll happen at some point. Plenty of others have gone on to other teams and returned for Old Timers’ Day, for example. (Not as an owner though.) Jeter knows the Yankees enhance his personal #brand. I doubt he’ll cut ties completely. Brian Cashman and Scott Boras were discussing an eight-year extension worth $235M before A-Rod opted out in 2007. That would’ve added five new years on top of his existing contract. After exercising the opt-out, Boras and the Dodgers were discussing a potential $320M contract over an unknown number of years. After A-Rod opted out in 2007, it was widely reported Cashman wanted the Yankees to walk away, but ownership stepped in and re-signed him to his then record ten-year, $270M deal. That Dodgers deal would’ve been a total disaster given what he know now. A-Rod’s hip broke down and they don’t have a DH spot. Assuming that $320M deal covered ten years, Rodriguez would’ve become the first $30M a year player in history, beating Clayton Kershaw by seven years. The gap between No. 1 and No. 2 is the same as the gap between No. 2 and No. 7. The Yankees are truly in a world of their own among the 30 MLB franchises. As noted in the Forbes piece, the Yankees generate roughly 20% more revenue than any other team thanks to the YES Network, the still new ballpark, and other side ventures like Legends Hospitality. The average MLB franchise is worth $1.645 billion these days, which is ridiculous. The Marlins sold for $1.2 billion last year. Imagine what a mid-range franchise could go for on the open market. 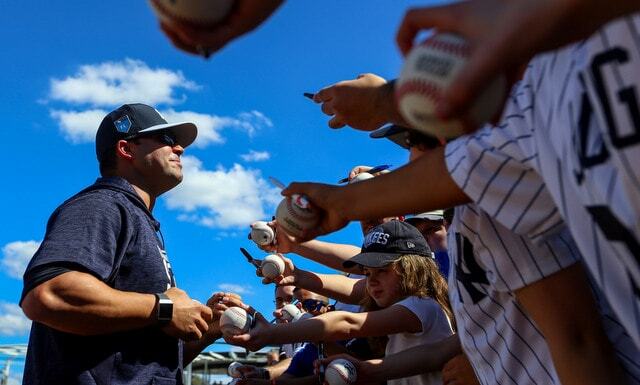 Alex Rodriguez is back with the Yankees. So is Nick Swisher. This morning the Yankees announced A-Rod, Hideki Matsui, and Reggie Jackson are returning to the Yankees as special advisors to Brian Cashman, and Swisher has been hired in the same capacity. I imagine this means A-Rod will be in camp at some point. Matsui and especially Reggie have been special advisors for years now. They just have new contracts. Rodriguez had served as a special advisor after being released in August 2016 through the end of his player contract in 2017. Hal Steinbrenner said a few weeks ago he was talking to Alex about bringing him in back in some capacity. As for Swisher, he announced his retirement last February and is getting back into baseball after the proverbial year away from the game. He helped out during Captain’s Camp and is in Spring Training as a guest instructor. Now he has a full-time front office gig with the Yankees. How about that? In the past A-Rod, Matsui, and Reggie worked primarily on the minor league side, traveling to the various affiliates to work with prospects. I imagine Swisher will do the same as well. The Yankees offered Carlos Beltran a special advisor job earlier this offseason, but he opted to step away and spend a year with his family.